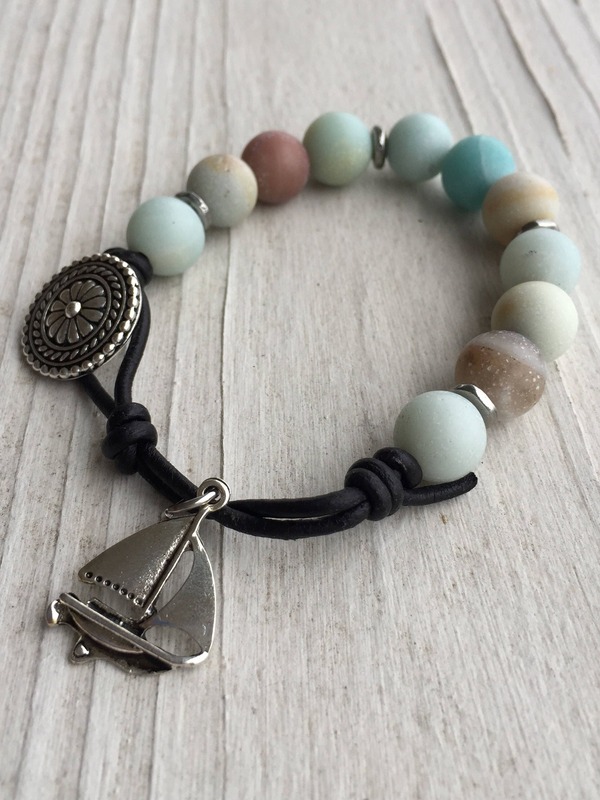 Amazonite and Silver Beads w/ Sailboat Charm and Button Clasp on Leather! Can be made to fit! 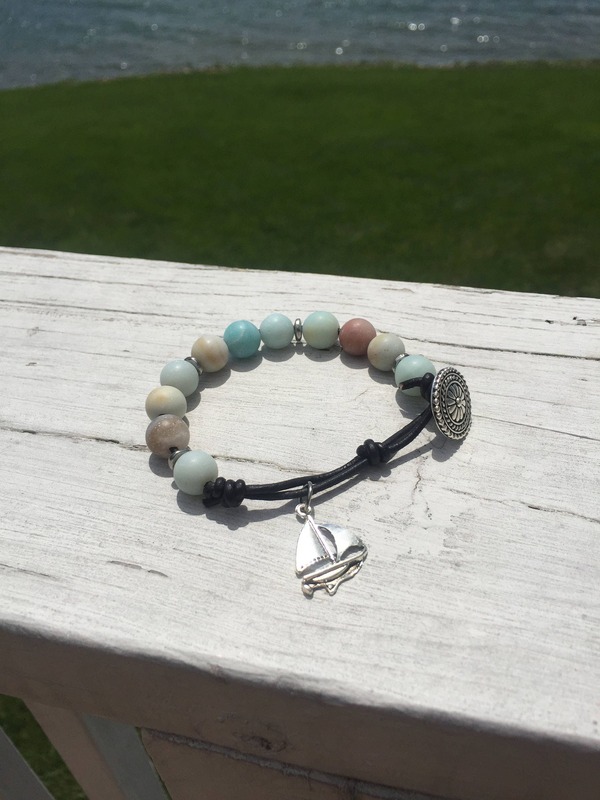 Great Mother's Day or Graduation gifts! Only 3 of these currently available! 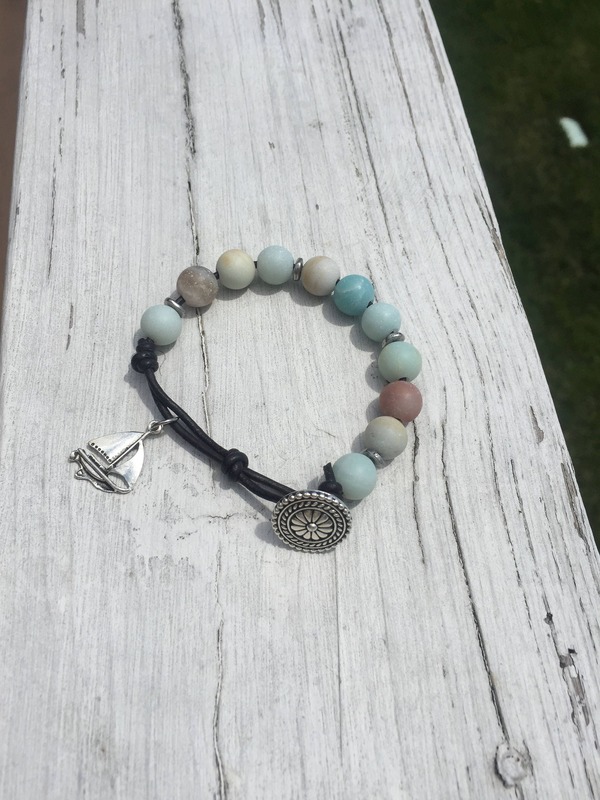 These are natural stones (color may vary slightly).